For The Survey Show, Bettina Bruder plans Disordered zero point of Clandulla State Forest 2014. This work consists of a battery-powered rotation motor from an-off-the-shelf tinkering-and-assembly set. The turning motor is placed on the ground. 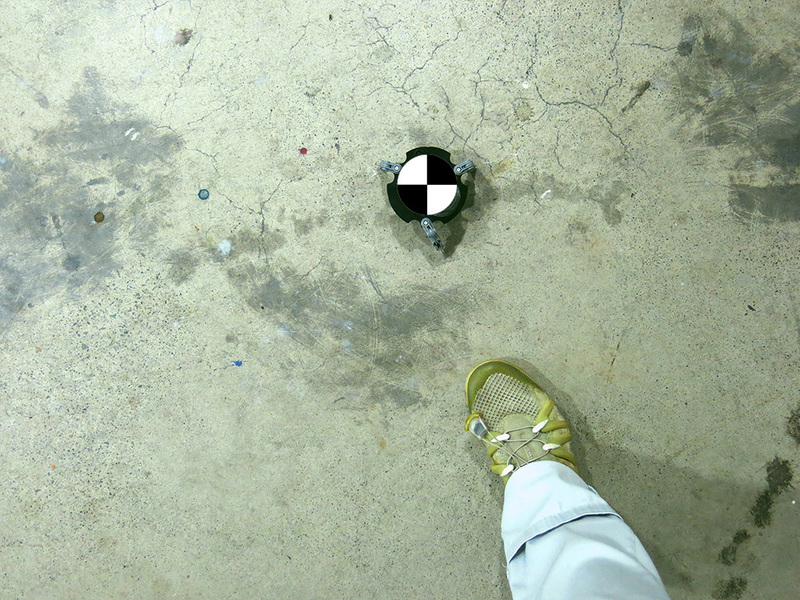 Parallel references to longitudes and latidudes in the area are marked by shuffled walking paths on the ground. In a geometrical approximation process the geographical zero point of Clandulla State Forest got calculated. In three different hanging positions a perpendicular installed on top of the contour of the state forest created a intersection point – this is the geographical zero point or zone of gravitiy of the state forest. This process allowed the determination of the zero point at -32°53’37.6” , 149°56’6”. As the area is difficult to access, the zero point got shifted to the main area of the exhibition. This flexibility of the zero point is represented through a mobile rotating device, which keeps the zero point in constant motion. 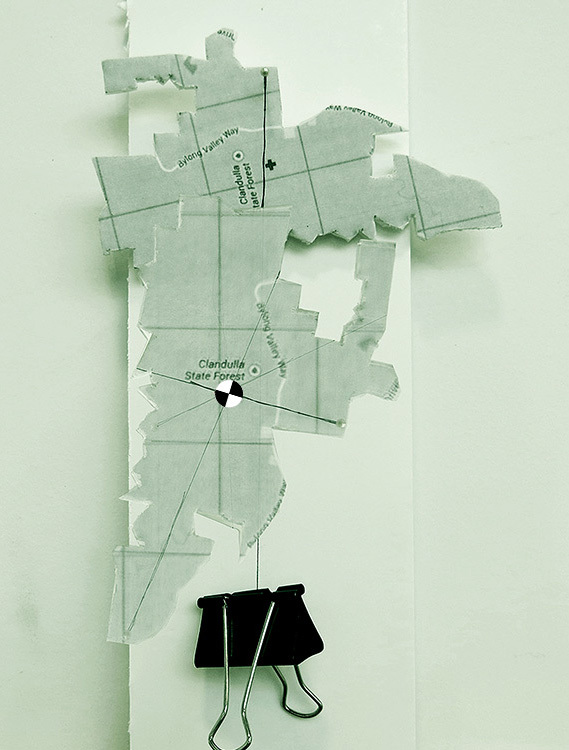 The project materializes the discrepancy between human made constructions such as the segmentation of the world in latitudes and longitudes or the setting of abstract target points offside of situational and local concerns like walking paths of humans and animals, vegetation and other naturally unfolded occurences. The project oscillates between these two worlds and the visitors are physically moving between them by revisiting the site and following the paths.